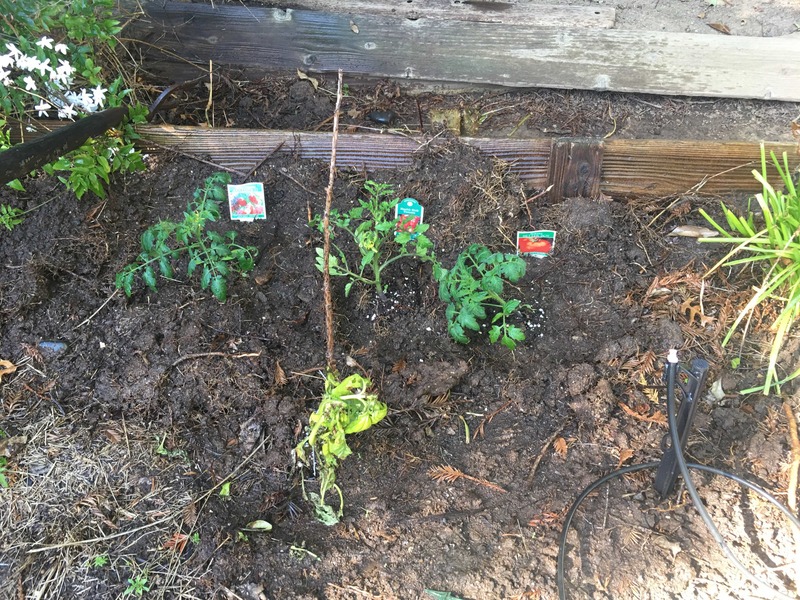 Today I planted tomatoes in my garden. They join the mint and basil already planted. The basil is struggling, though, and not helped by the broken sprinkler I found and fixed today. California’s recent drought killed off the mint and raspberries that have been here for years. It’s good to be able to re-plant.